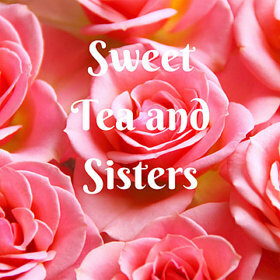 Sweet Tea and Sisters: Each Age and Phase Just Gets Better! Time goes so fast. My kids have grown up on me and it just flew by. I loved having babies and every age and stage I would think was the best, until I got to the next one. As much as I loved it when they were little, it is so nice in so many ways now that they are older. We can watch the same movies and do a lot of fun things together. Summer was kind of crazy. We went on a trip with my parents and brother and sister and their families at the beginning of June. Shane has worked all summer and either competed himself in Crossfit competitions or had an athlete he is coaching participate. I enjoy watching the competitions. It looks so hard, but is really fun to watch. Sydney took summer classes and Stratton declared this summer his last official "kid" summer. He graduated from high school early in December and took Spring semester classes at the same college Sydney and Shane attend. He participated in senior activities and walked with his class in May although he was done. He said this is his last official "summer break." That child. He is so funny. Anyway, with everything going on, I also had surgery in June, we didn't go anywhere just the four of us so I had a fun night planned Sunday night as a kind of end of summer blowout. They start classes next week. We went to a Matchbox 20/Counting Crows concert. I got enough tickets so they could each ask a friend so there were 7 of us. They knew the music because me and my sister love them and played them a lot when they were little. A lot of their friends didn't know who they were. They knew a couple of songs, but didn't know their name. We had such a great night! It was a little bit of a drive for us and I knew parking would be crazy and I just wanted us to enjoy the night so I got us a limo. We didn't go on a trip so I didn't feel so bad splurging. Also, they commute to school so I don't have the expenses of moving them to school. We got the tickets months ago and of course, then, it seemed like forever away. We didn't want to wish away the summer, but I knew it would get here fast. Time just moves that way! We didn't plan on all wearing black shirts! Mine says Less Mondays More Sundays. I thought it was appropriate and I couldn't agree more! They are such fun people and they have great friends. They will occasionally do something that reminds me of when they were little and I love those glimpses, but this is a great time too! I don't know what I will do when they are all moved out. Do you think they will let me have a room in each of their homes and I can rotate staying with them? Maybe if I offer free babysitting they will!